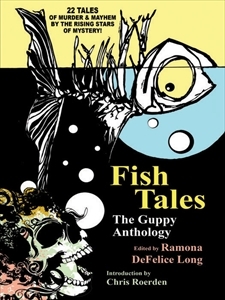 Fish Tales, an anthology of 22 short crime stories by the Sisters in Crime Guppy Chapter, is now available as an ebook! The print version will be out soon. I was honored to edit this collection for the talented new crop of mystery writers. Fish Tales may be purchased in ebook format through Amazon; Barnes and Noble; Lybrary.com; Mobipocket.